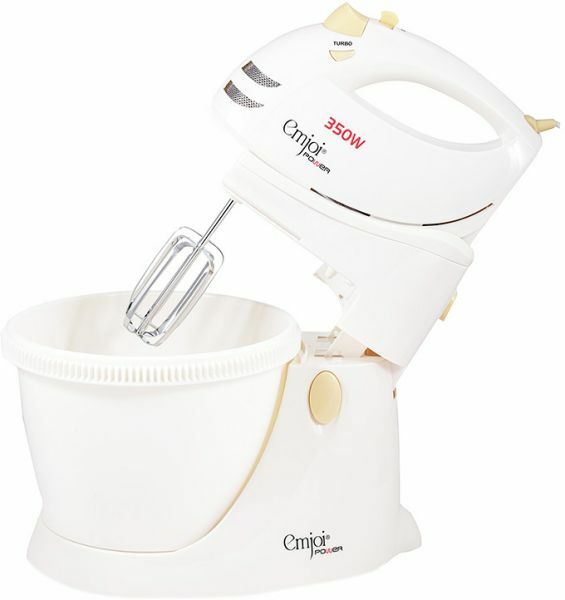 The Emjoi Power White Hand Mixer is ideal for preparing dough, beating eggs, and whipping cream. This mixer includes two chrome beaters, two dough hooks, and a large bowl. It is sturdy and long lasting as it is made using stainless steel.